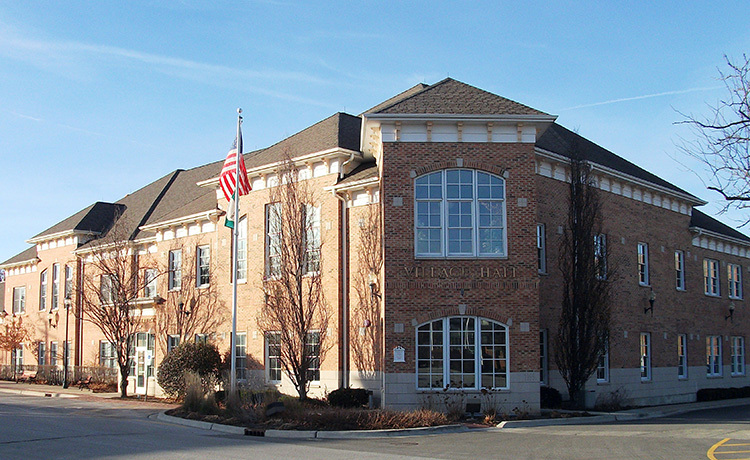 The Grayslake Village Hall was completed in 1996 by the Gurnee office of Kluber Architects + Engineers, who later remodeled the facility to house the Village’s chamber of commerce and police station. The 5,000-square-foot first floor includes all the administrative offices for the Village. The second floor houses a boardroom and community room, which have a sliding-glass acoustical wall that allows the room to expand for maximum flexibility and space use. The police station addition was completed in 2007. The goal was to share specific village and police staff in order to cut cost and increase efficiency and service. However, police security, function and facility identity had to be maintained. The addition was designed to blend with the original style of the village hall, both of which complement the facility’s location within the Village’s historic downtown district.